About 7 years ago, I was teaching a class of extremely high learners and wanted to challenge them in reading. Until then, I had, for the most part, taught using the reading basal. However, I was B-O-R-E-D of it and knew that it wasn't meeting the needs of all of my students. I had used author studies and genre studies in my class "when there was time" and absolutely LOVED them!! I was excited about teaching that way and my students were always so much more engaged. At the time, I was teaching in an immersion setting (where I taught Language Arts and Social Studies to two classes while their French/Spanish teachers taught them the other subjects immersed in that language). I am definitely a teacher who likes to have a "teaching buddy" at school to share everything with, plan with, etc. but this setting was a little different. My class make-up was completely different from the other 2nd grade classes so I really felt like I was on my own to make a change that would benefit me and my class. One night, I did the unthinkable....I threw out all of my lesson plans, pulled out our state standards and began developing reading units based on genres I wanted to teach and/or were required in the standards. It was definitely trial and error and a TON of work that first year, but it was also the BEST.DECISION.EVER! 7 years later, I feel like I've got my reading instruction where I want it. I'm excited about teaching reading, my students fall in love with reading, and the growth that I see in my little readers puts a smile on my face every day! With that being said, I'm sure that my approach to teaching reading would not work for every teacher or for every student. That's the great thing about teaching - it's an art, not a science. 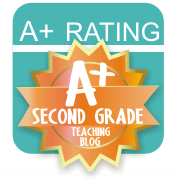 I get a LOT of emails from other teachers who have visited my website, asking about my reading instruction. I don't follow a program or prescribed plan (although my school is going toward Balanced Literacy)...I feel like most programs have something great to offer, but there's not one program that has it all. So, I pull and choose strategies/techniques from various programs and teach reading in a way that makes sense to me and that meets the needs of my students at that time. I've been lucky enough to earn the title of DTR (Distinguished Teacher of Reading) in two of the schools I've taught at, and was even named DTR for our district a couple of years ago. This allowed me to share my approach at our state reading conference. 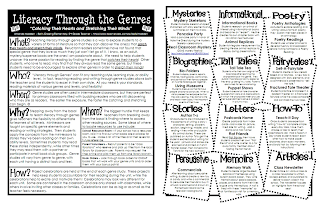 You can click below to see the handout that I passed out there...it sort of summarizes my how I teach reading (and writing) through genre studies. I kick off the year with a unit on reading strategies that teaches the students to make connections, ask thick questions, visualize, make inferences, and synthesize. This unit pulls a lot of ideas from Reading Power by Adrienne Gear. I then move on to my genre studies. I'm often asked how a typical reading lesson in my classroom looks, but honestly, it varies drastically from genre to genre. A common thread in each of them is that I am conducting "mini-lessons" on the characteristics of that particular genre and/or reading strategy applications and then my students are applying what they've learned as they read books from that genre which are on their own independent reading levels. This means that EVERY child is reading the same genre (so therefore, I can do some whole group instruction) but they are also reading books that are meeting their own needs at that point in time. I also end each genre study with some type of C*E*L*E*B*R*A*T*I*O*N where the students get to show-off their hard work! Often, parents are invited to these celebrations, or other classes - you could really make the celebrations as big or small as you'd like, but they really give the students something to look forward to and work toward. Does anyone else teach through genre studies? I would love to share ideas! Do you have questions? Comment below and I'll be glad to include the answers in this week's posts! Don't forget to enter my 100 Follower Giveaway that ends on Saturday! I am looking forward to reading more about your Genre studies. Our district uses the Reading/Writing workshop (Lucy Calkins framework). She uses mini lessons as well. I think that your ideas will mesh well with hers. I've got SOOOO much to organize this summer to prepare for teaching my seconds! I'm EXCITED to meet my students and start the teaching/leaning process! My district divides the year into genre units on our IPG and I just went to a class this summer about using genres to teach the strategies. I can't wait to read your posts to learn more. I have always felt so tied to our IPG but I'm starting to see it in a whole new way and I might (maybe) hate it a little bit less now. :) I am also busy putting together genre projects for the year for my students. You're so right. One size does not fit all. I love that kids are reading books at their level. It's impossible to meet all their needs when they're all reading the same book. Thanks for sharing your sound pedagogy. Yay!! I LOVE when people talk behind my back in a GOOD way! :) Thanks so much for the mention and link back. Great job on whipping up that doc so quickly - I know you'll find it helpful! I have threaded comments and I think this is the way I did it. I remember reading about your genre and author studies on your website. I'm so glad you will be sharing more about them here. By the way, how did you get your replies to show up in a different color than the comments? Storie, I'm pretty sure that's just the default on the template I'm using. It seems that each template must be set up differently so your comments/replies will be slightly different depending on your template. 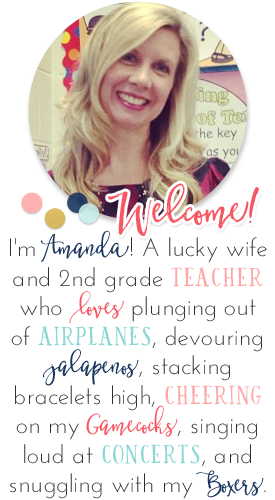 Hello Amanda! Thanks for stopping by our blog and leaving us a comment. 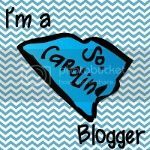 Your blog is absolutely adorable and I can't wait to read more!